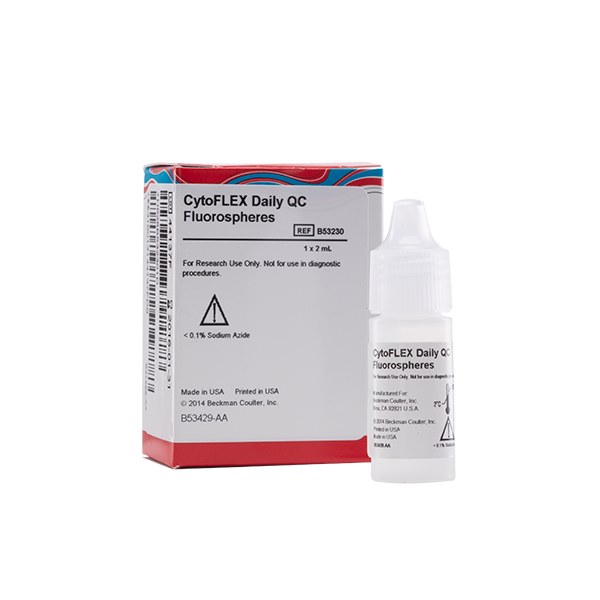 CytoFLEX Daily QC Fluorospheres consists of a suspension of ~3 μm fluorospheres with a fluorescence emission of 410 nm to 800 nm when excited at 405 nm, 488 nm or 635 nm. CytoFLEX Daily QC Fluorospheres may be used for daily verification of the CytoFLEX flow cytometer's optical alignment and fluidics system. Download target files for uploading into CytExpert software.